So detailed. It looks like an image from an old children's book, when they used to illustrate them in b&w. Very nice. It does work in black and white. Nice BW shot. It is good to see spring flowers. 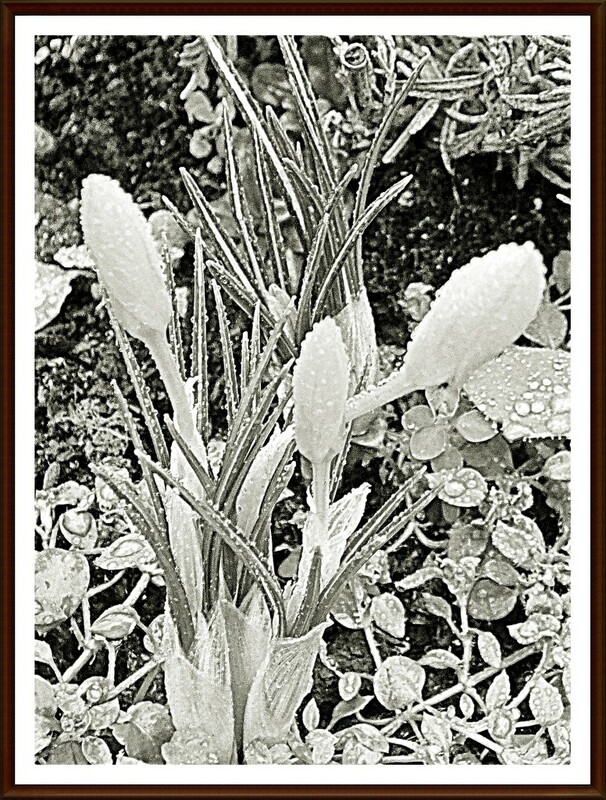 I look forward to the day my crocus bloom. This has worked well and it’s especially effective on black. Actually I’m not a black & white fan normally unless it’s a street scene but I really like this Beryl. When I was at school many moons ago we use to do something called scraper board, this is how a good one could turn out like!! It works well in b&w. Lovely detail! Lovely the way you've highlighted the structure and made such a strong sense of design. A great capture and beautiful editing. I agree with Islandgirl, looks awesome on black. Definitely interesting on black. Almost reminds me of an etching.